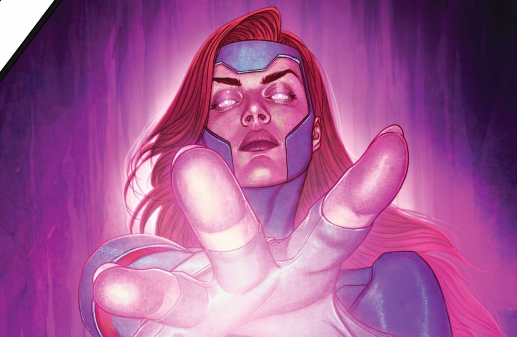 This image has so much power because it runs counter to everything we as the audience know about Jean Grey as a character. Ultimately, though, we’re responding to it based off our pre-determined opinions and biases, deciding that it’s fake, that it clearly isn’t Jean despite no real evidence backing us up. That’s exactly how the citizens of the Marvel Universe react to this broadcast as well, and those various knee-jerk reactions provide a startlingly prescient parallel to real life politics that make X-Men Red 10 an eerie, unsettling read. Trinary almost instantly finds concrete evidence that this video of Jean is doctored and releases it to the public, but it barely matters. 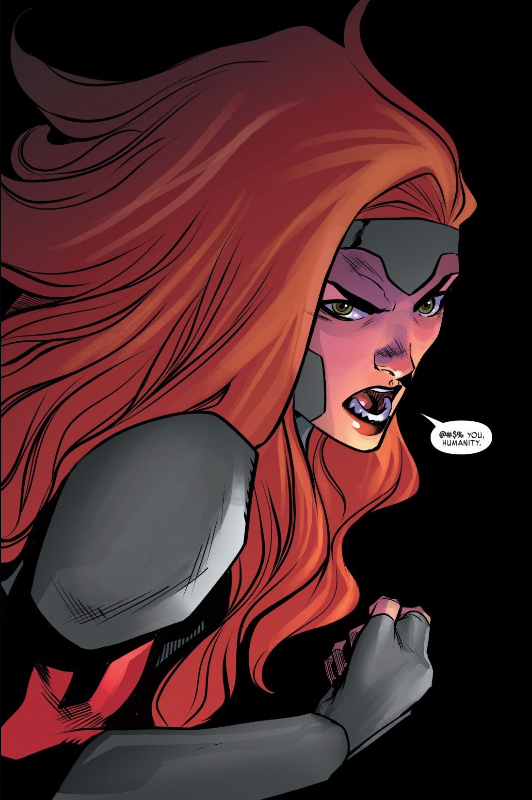 Supporters of Jean, the X-Men, or Mutants already believe her, while those who hate, fear, or oppress them will never believe that the video is fake no matter how much evidence there is. We’ve been living in a “post-truth” society for a while now, but this specific scenario is so unnerving because it literally happened within a day of this issue’s release. I’m speaking, of course, of White House Press Secretary Sarah Sanders tweeting doctored video of CNN reporter Jim Acosta in order to ban him from the White House. Many believe Sanders despite ample evidence that her video is doctored simply because they want to. The imaginations of comic book writers can’t even keep up with real life politics; how are we possibly supposed to deal with that? 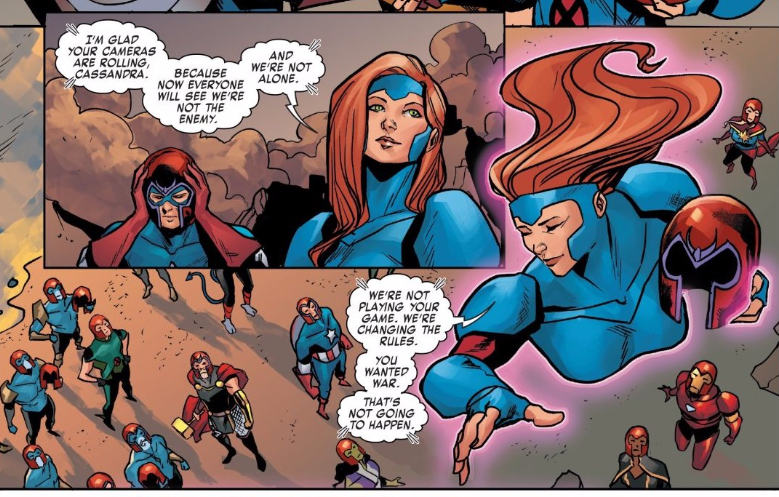 How about we look at how Jean Grey herself handles Cassandra Nova’s lies? Jean isn’t playing by Nova’s rules, but despite her boundless optimism, that doesn’t mean that she’s neutering herself with “both sides” or “you go low, we go high” rhetoric. What it means is that Jean understands that some people’s hearts can never be won, that some people will never believe truth, and that she can’t chase her tail trying to convert them. She’ll act with integrity, defend the truth, and let it win over those who are still willing to listen and learn and put their biases aside. I think there may be more of them than any of us think.